Opelousas City Hall is located at 105 North Main Street, Opelousas, LA 70570; phone: 337-948-2520. Photo: Labyche-Estorge House, ca. 1827, 427 North Market Street, Opelousas, LA. Listed on the National Register of Historic Places in 1982. Photographed by user:Z8scrambler (own work), 2012, [cc-by-3.0 (creativecommons.org/licenses/by/3.0)], via Wikimedia Commons, accessed May, 2015. Opelousas is Louisiana's third-oldest city; it was designated the parish seat when St. Landry Parish was established in 1805. The town was incorporated in 1821. 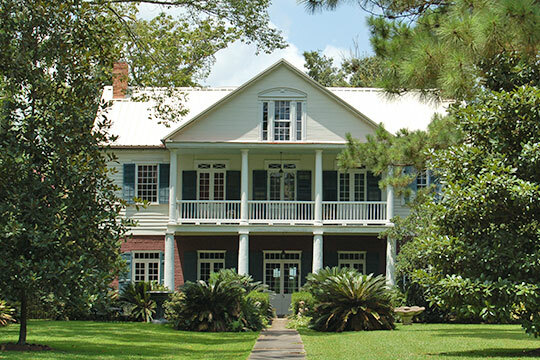 During the Civil War Opelousas served, for a time, as the Confederate capital of Louisiana.